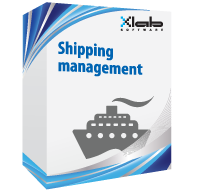 Shipping Certificate Management System makes ship owners and operators responsible for following up the certifications of their vessels, crews and class items. SCMS allows creating a predefined various types of ship certificates and relating it with each Ship as default schema of certifications to produce the alerts of renewals or inspections’ due dates with predefined specific multi reminders. Also Vessel has a standard schema for the crew positions working on and assigned the crew member, so the system automatically can alert all positions have shortages. it can be used local for a company or global outside the company. Fully secure upon user privilege. for vessels, crews and Class Items. Allow attaching the certificate scanned copy.